While many of us are still waiting for Android Marshmallow, Google’s engineers aren’t taking a break: the next version of Android, Android N, is nearly here. How does it compare to Apple’s iOS, which has reached version 9.3? There’s only one way to find out: read our Android N vs iOS 9 comparison. Never mind N: when will you get the Marshmallow update? Android N is currently available as a Developer Preview, which was made available on March 17. It’s a long way from a finished system and only contains a few new bits; the final version is due in the Fall. iOS 9 has been around since 2015, with the third version (iOS 9.3) made available to all compatible devices in March 2016. Both Apple and Android offer beta programs that enable you to test the next versions of their software before they are officially released, although they warn that you shouldn’t use betas on any devices you depend upon: by their very nature betas are unstable and buggy. Android N is likely to undergo a lot of interface changes between now and Fall, but we’re already seeing some key differences between it and Android Marshmallow. The notifications area has been completely redesigned and now enables you to respond to messages from within notifications, and there’s a new multi-window mode, which didn’t quite make the cut for Android M. Google also says it’s been working on Project Svelte to make Android feel smooth on older devices, but details of that haven’t been announced yet. The last major redesign of iOS was years ago, with the controversial iOS 7. It’s not quite as garish as iOS 7 was and the new 3D touch adds extra functionality to (some) app icons, but there are still some shockingly bad interface elements such as the horrible, horrible Music app. iOS 9.3 does get one key new UI feature, though: Night Shift, which can automatically chance the color balance to minimize bright screens’ effects on your sleep. We’ve yet to see any significant changes in Google Now on Android N, but even if Google only tweaks the edges it’s still ahead of Apple’s Siri for us. Maybe it’s our accent but we find Google’s voice recognition much more accurate than Apple’s, so Siri’s usefulness suffers as a result. Being able to shout “hey Siri!” and issue commands is something we’re glad Apple copied; it’s just a shame that Siri seems to think everything else we say is “blargle argle garble”. Siri also remains far behind Google Now in the usefulness stakes. As ever, Apple and Google are coming at this from different directions. Apple goes for the Father Knows Best model, where apps are only allowed from the Apple app store and even the FBI doesn’t get to decrypt users’ iPhones. Google, on the other hand, wants to be open, so there are always security risks from malicious apps and third-party app stores. One thing we’re hoping to see in Android N is the Smart Lock for Passwords feature, which actually debuted in Marshmallow: that version doesn’t work with many apps yet, so we’re hoping Google promotes it more for Android N app developers. Android’s kicking Apple’s backside in the battery stakes: only the enormous iPhone 6s really delivers the goods battery-wise for power users, whereas the Doze mode introduced in Android Marshmallow massively increased battery life in Android devices of all sizes. Android N doubles down on Doze, with an improved energy saving mode that kicks in any time the screen is off. That should make Android last even longer - hopefully without impairing notifications and usability. Apple’s way ahead here, with Apple Pay embraced by banks all over the world. Google’s payment system has been revamped and rebranded - it’s Android Pay now - but at the time of writing it hasn’t launched in markets such as the UK. When it does, we’d expect the same retailers that support Apple Pay to support Android Pay too. We’re not just comparing apples and oranges here; Android N is so far away that we’re comparing ripe apples with orange trees that haven’t borne fruit yet. Android N is already looking interesting, but we haven’t seen its best bits yet. As with iOS 8 and Android M, both Android N and iOS 9 are improved versions of existing OSes: they’re better than their predecessors but in an evolutionary sense, not an “OMG they’ve changed everything!” sense. We think Android has the edge in some key areas - battery life and voice recognition in particular - and that Apple offers a more elegant but also more strictly controlled experience. As ever the choice between the rival OSes will largely come down to personal preference, so Android users are likely to gravitate to Android N while iOS users will tend to stick to iOS kit. What do you think? Is there anything Google should learn from Apple or vice-versa? Let us know in the comments below. I wish people like Gary Marshall would realise there are other followers of AndroidPit that don't live in the United States or even in the northern hemisphere. Talking about releases in the "Fall" is meaningless to people in the Southern hemisphere (half the world) and probably to Europe where it is still called Autumn. "Fall" is a term used by Americans only. "Doze mode massively increased battery life"
My last two phones gave been the Nexus 5 and more recently the Nexus 6P and I have to say I'm really happy with performance and battery life. 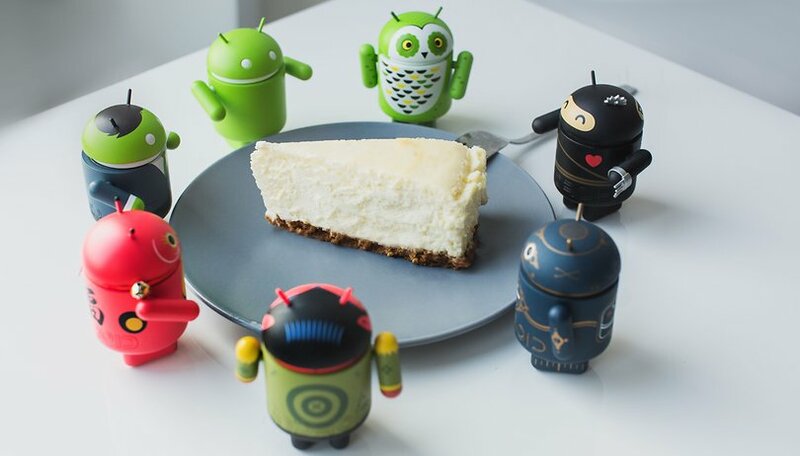 I have a wide circle of friends with many different phones and would say only 1 or 2% own Apple phones (and seem satisfied, if not enthused with them) wheras the Android guys are all happy even when they are not running the latest flavour on Android - guess it's all down to customisation. From what I've read about Google's plans to stop fragmentation and maybe merging Android and ChromeOS, I think it's bad news for iOS and will boost Android's popularity over the next couple of years as users naturally upgrade their old phones and start to reap the benefit of a more controlled Android core with added value from those suppliers that want to do there own thing to distinguish their products. Having said all that I've recently been playing with RemixOS and am impressed by what they are bringing to the table - long live competition and inspiration !! Yes- Resurrection Remix is good. Got it on both of my old S3 Galaxies running 6.0,1 MM, with Nova Launcher. And Samsung couldn't get S3 past 4.3 because of all the junk they install.